For small businesses every minute and every dollar counts. Punch passes save you time (and money) dealing with payments and checking in clients. Punch Passes enable you to have a clearer forecast of the demand for your product and services and manage your inventory and business schedule accordingly. Punch Passes are a simple and flexible way for your clients to purchase your products and services comfortably. Your customers can pay in advance from their smartphone with no hassle. Returning clients are much more valuable. They tend to spend a lot more than first-timers when they come back in, if you provide a good experience. 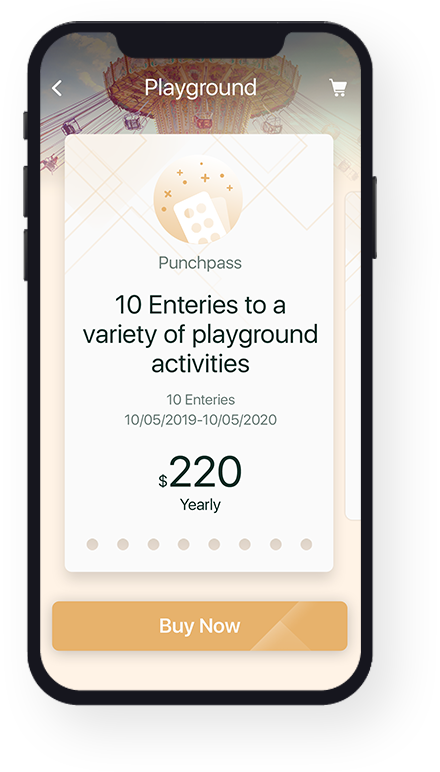 And Punch Passes are fast where it counts – clients can easily pay for their recurring purchases with a fast check-in process – pay once on your mobile phone and you’re good to go. You can tailor the pass to your clients’ and your business’ needs – set the number of punches, expiration, limit the usage and select different ways for clients to redeem – scan a QR code, geo-location based, or manually. Traditional printed punch cards are a pain to manage and track. Clients can easily lose them or forget about them, and it’s pretty impossible to evaluate their value. With digital Punch Passes, you can track and reward your clients for repeat purchases and visits. You establish deeper relationships with your clients if they come in more often. And your clients are more likely to come in a lot and talk up your business to their friends, if you make it easier on them.